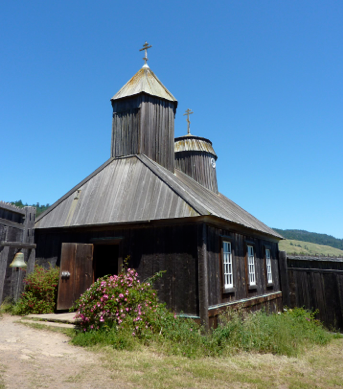 In 1809 the company’s manager, Ivan Kuskov, sailed to Bodega Bay. For six months he and 40 Russians plus 150 Alaskans caught more than 2,000 sea otters and brought their pelts to Alaska. 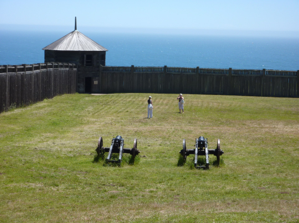 He returned, and in 1812 he returned to the area and started the settlement known as Fort Ross, located 18 miles north of Bodega Bay. 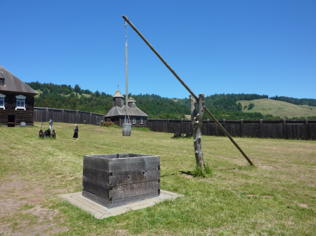 Here they built redwood structures, including two cannon-fortified blockhouses and a well that provided emergency water for the settlement. 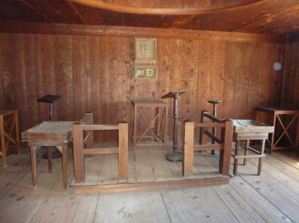 They also constructed the first Russian Orthodox Chapel south of Alaska and built four other buildings. Besides killing sea mammals (they were the human equivalent of British Petroleum), the Russians also concentrated on agriculture, which turned out to be a mistake since the combination of nasty coastal weather and farming inexperience made their efforts futile. Soon, the ocean had been over-hunted and there were less sea mammals to execute. 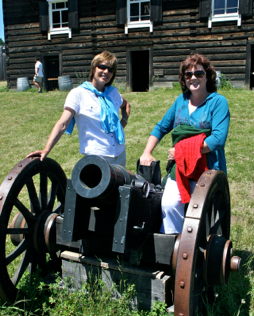 Finally, in 1841, the Russian-American Company sold the property to none other than “Mr. 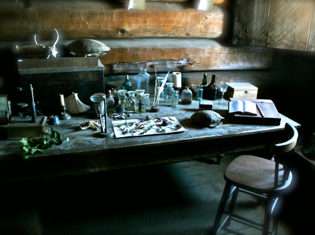 Gold Rush” himself, John Sutter. 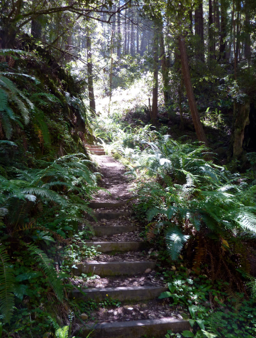 In 1906, the state of California acquired the site, and it is now one of the oldest state parks in the California system. Since Kim and Mary (who we were visiting in Bodega Bay for the weekend) along with Tracy and I had never visited here, we decided to drive up the coast on an incredibly warm June day. 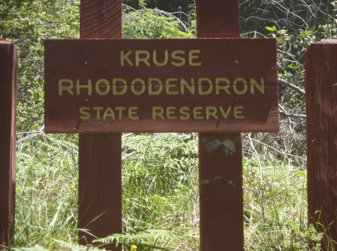 Sadly, as is the case when I try to find a place for flowers, there were hardly any rhododendrons left. 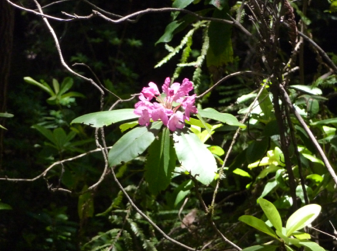 It was a very nice hike, however, and finally we did come upon a lonely rhododendron. I almost broke into the song, “Where Have All The Flowers Gone,” but I knew Tracy would probably sing back to me, “You Don’t Send Me Flowers, Anymore,” and since neither of us can sing, I thought better of the idea. 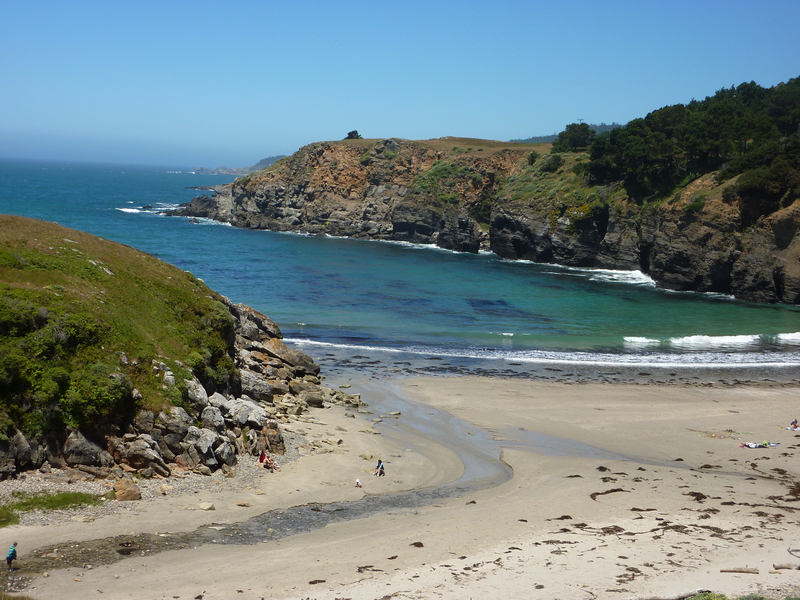 Back in the car, the gang made a quick stop at Stump Beach, a remote, yet lovely setting. 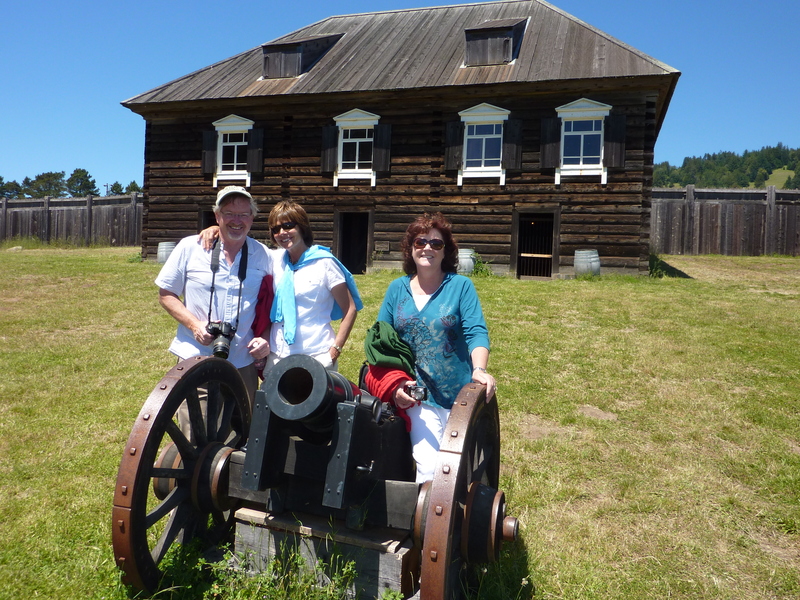 Finally, we made it back to Fort Ross. 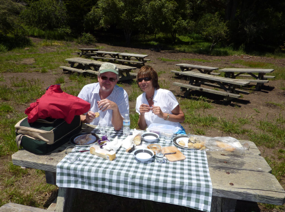 For anyone who has ever followed our adventures, the four of us have been known to take a wine break during the day, so we found a picnic site (that definitely needs some TLC), where Mary broke out a picnic of wine, crackers, cheese and salami. 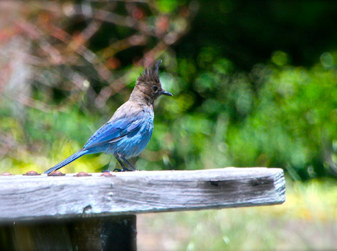 We even had a little friend at a nearby picnic table who helped us eat some crackers. We did not offer him any wine, however. The four of us spent about 45 minutes roaming the grounds and buildings of Fort Ross. 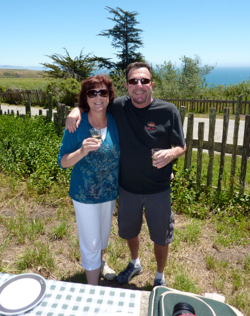 This turned out to be a really unexpected pleasure, and Kim said he was happy we visited because it gives him another place to show visitors when they come to Bodega Bay. 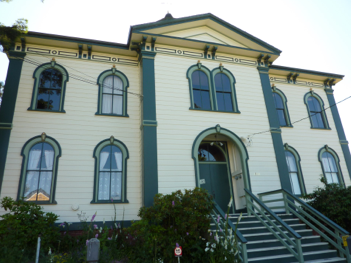 On the way back down the coast, we stopped into the small town of Bodega (five miles south of Bodega Bay), where there is another interesting historical sight, albeit “fake history.” In Bodega, there are a couple of buildings that are very familiar to those who might be frightened of our fine feathered friends thanks to one Mr. Alfred Hitchcock. 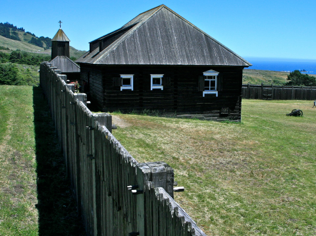 That’s because Hitchcock utilized Bodega and Bodega Bay as the backdrop for his 1963 film, The Birds. He used the 150-year-old Potter School as an exterior where all those terrified kids fled from when the birds attacked. 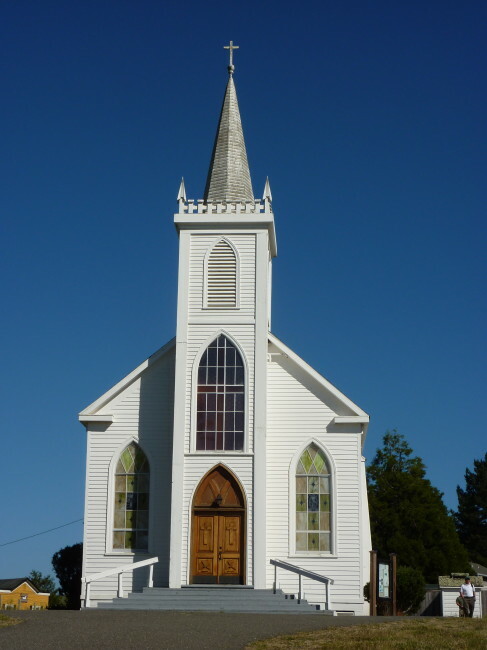 St. Theresa’s Catholic Church was also seen briefly during the movie and was made even more famous by the fact that it was photographed by Ansel Adams. No birds (or humans) were injured while I took these photos. That was enough for this busy day, because it was now time to get back to the house for dinner and some more delicious wine from Sonoma County. 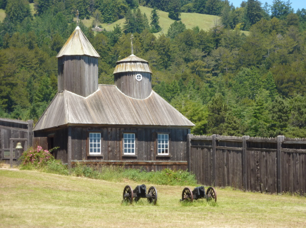 If you are ever in the Sonoma Coast region, I strongly urge you make a stop at Fort Ross, and if the rhododendrons are blooming, the Kruse Rhododendron State Natural Reserve. Be careful of the birds, however. They’re watching you. 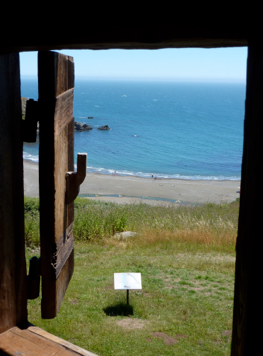 Directions: From Bodega Bay, it is a little more than a 30 mile drive north. Look for Kruse Ranch Road and make a right. Look for the parking area.